It's difficult to say exactly how I would elaborate on what exactly makes a great filmmaker, well, great. When I watch the work of a David Fincher or a Richard Linklater, I admire the fact that they have honed in on just what they do beautifully and with ease. I hope Fincher continues to bring his chilly and eerie atmosphere to perfectly crafted thrillers, and I want more of that deft Linklater hand when he forms realism in ways that I so easily fall in love with. So I guess I would say a great filmmaker figures out what works and utilizes it to make the best possible work going forward. However, sometimes staying the course and being repetitive in style could easily be tossed around as a criticism for a director who isn't willing to break from an already established mold. I practically worship the talents of Paul Thomas Anderson because he is constantly going in different directions and nailing it every single time. In 2012 he unleashed the dramatic and brilliant The Master, and then he comes back this past year with the bizarre and comedic gem Inherent Vice. These are just recent examples, but throughout the career of P.T. Anderson he has stepped behind the camera for vastly different pictures time and time again, and I admire the bold confidence it would take to never simply settle into a comfort zone. This is precisely why I call Anderson this generation's Kubrick, the all time greatest auteur who managed to mold masterpieces from multiple genres. Before I go upsetting people here, I am not comparing J.C. Chandor to any of the names mentioned above, not Fincher, Linklater, PTA and certainly not Kubrick. The reason I ponder these two different perspectives on directors and what makes them great is because after seeing two of his films, J.C. Chandor clearly does not want to follow a single stylistic mold and become comfortable with what was previously received well. Last year I was introduced to his work with the nearly dialogue free and yet riveting survival drama All is Lost, and yet only a year later we get to experience his talents go in a completely different direction with A Most Violent Year. A film that feels almost out of place being released in 2014, a throwback to the work of Francis Ford Coppola and I've been told Sidney Lumet, because unfortunately my list of Lumet films I have seen is far too lackluster to make such a comparison, A Most Violent Year is deliberately paced yet never boring because it mixes in plenty of fantastic and exciting moments that blend perfectly with the narrative, and whoever was in charge of putting together the cast of this film knew exactly how to make it appeal to me. Oscar Isaac is one of my absolute favorite actors working today (his inclusion in the new Star Wars film made me almost literally jump for joy) and Jessica Chastain is a fantastic talent, to the point that when I see her name associated with a film I automatically give the project the benefit of the doubt. Watching these two perform side by side was delicious treat. J.C. Chandor is two for two in my book, but he has yet to hit a home run. 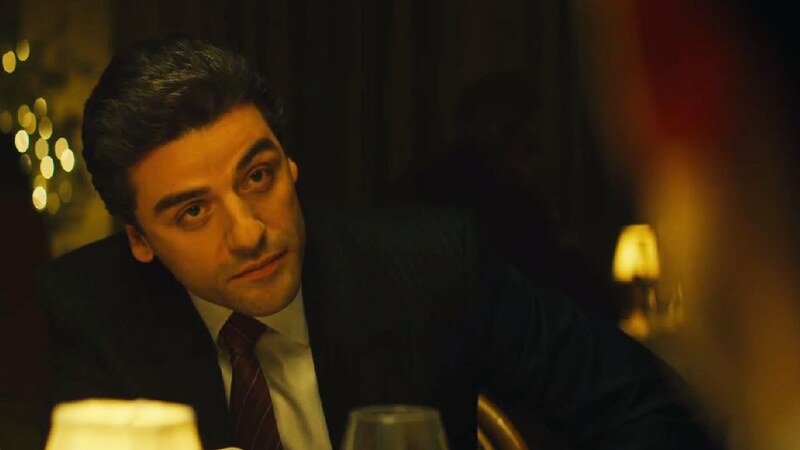 All is Lost and A Most Violent Year are equally close to transcending merely being great, and I have heard positive things about his first movie I have not yet seen, Margin Call. At 41 years of age, I can feel a true masterpiece brewing from this clearly gifted cinematic mind. I can't wait to see what's next.